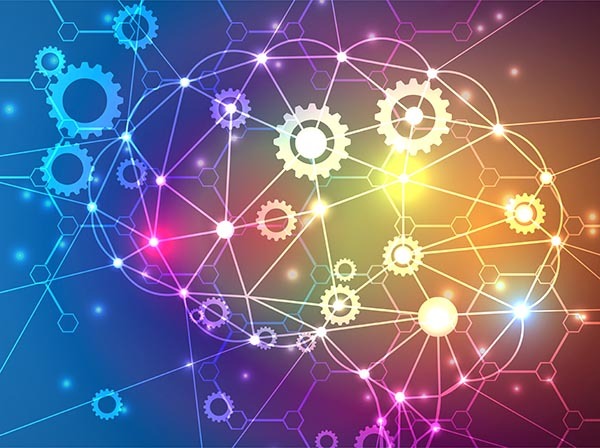 2019 will be a critical year for Artificial Intelligence (AI) and Machine Learning (ML) technologies as real-world industry applications demonstrate their hidden benefits and value to the consumers. So far, scientists and researchers have made claims on behalf of AI-enabled technologies, but they have not really been tested in large-scale market applications. We will see a lot of those technologies put into marketplace practice for the users to judge and evaluate. Why Bother Tracing AI and Machine Learning Trends in Businesses? The global ML industry, growing at a CAGR of 42 percent, will be worth almost $9 billion in the latter part of 2022. The Deep Learning (DL) applications market in the US alone has been predicted to shoot from $100 million in 2018 to $935 million in 2025. From chatbots and digital agents in CRM to virtual reality (VR)-powered shop-floor demos, AI has promised something for every industry sector. McKinsey & Company, in Notes from the Frontier: Modeling the Impact of AI on the World Economy, has predicted that by 2030, 70 percent of businesses will use AI. The rapid adoption of AI across global businesses will help the AI market reach about $13 trillion in 2030. However, McKinsey adds a warning note that high adoption rates may lead to severe performance gaps between the successful AI implementers and non-implementers. Advanced AI technologies not only have the potential to widen the affluent countries from the under-developed ones, but can also threaten jobs in affluent societies. A solid Business Intelligence trend that started about two years ago will reach its peak in 2019, thanks to the advancement of AI and ML technologies. Business Analytics in 2019 will not only help democratize Data Science among business users, but also enable complex, large-scale analytics with fast, accurate results at a lower cost. KDnuggets’ Machine Learning Trends of the Future highlights some main events of the past few years. It establishes the prominence of three ML trends in today’s businesses: algorithm economy, cloud-based analytics, and data flywheels. Most industry experts agree that these major trends helped companies to become the data companies that they are today. Three AI and Machine Learning Predictions for 2019 includes 2019 predictions for AI and ML trends. The exponential growth of business data, low-cost data storage, and AI reaching maturity will lead to more businesses outsourcing their data center enter activities to cloud service providers. The Future of Machine Learning and Artificial Intelligence explains that while cloud brings agility to businesses, AI and ML leave a major impact on business outcomes. The easy availability of both live and dead business data will contribute toward the creation of better Machine Learning models and algorithms. The algorithm marketplace in 2019 may create more opportunities for AI and ML researchers to interact with business practitioners to build real-world solutions. Wearable devices and the development of intelligent apps will rise in tandem, with the increasing rise of mobile consumers. Major companies like Amazon, IBM, Microsoft, and Google already offer virtual agents to consumers, and this trend may be picked by other businesses next year. The use of Natural Language Processing (NLP) will rise significantly in customer-service functions that require text processing at scale. Blockchain will move beyond banking-finance domains and into many other industry sectors. Robot bosses may become more of a reality, especially in large manufacturing assembly lines such as an airline or automobile manufacturing plant. On the flip side, AI technology advancements will trigger huge job cuts and downsizing of operations due to increased automation of business functions. Re-skilling of staff employees may become necessary to mitigate the adverse effects of automation in industries. Notes from the AI Frontier: Applications and Value of Deep Learning from McKinsey contains a detailed analysis of over 400 use cases across diverse sectors like pharmaceuticals, insurance, healthcare, and telecom, with disparate business functions. The article focuses on the economic potential and direct applicability of advanced AI techniques like Deep Learning in business analytics. Trend 1:With data flywheels dominating the 2019 business ecosystem, the data acquisition and storage costs will drop significantly.This trend, in turn, will lead to easy access to ML algorithms hosted on the cloud. The pre-trained ML models will enable every business to tap into a readymade platform of transferrable intelligence and analytics at scale. Trend 2: No amount of data can be useful to a business unless powerful algorithms can extract the necessary insights from them. In 2019, as the algorithm economy takes over the traditional management of business processes, every business will turn into a data company, where the scientific and research communities can directly interact with business leaders and operators to jointly find business solutions. Trend 3:The newly rising app store is akin to the algorithm marketplace, where every person is an app innovator, buyer, or seller. Alexander Linden, research director at Gartner, thinks that in that environment, an app innovator will not need “sales, marketing, or distribution channels” to sell their ideas or products. Trend 4: Many players are using virtual agents for low-cost customer service today. The virtual agent is usually programmed to provide basic customer-support services to customers. The main idea is to make the customer feel they are talking to a real person, while saving operational costs. Trend 5:This technology provides machines the power to convert data into text, which is widely used to convert customer feedback into written summaries or reports. With open-source, Machine Learning, and Deep Learning frameworks in the future, the smart models will be able to do more like tagging images or recommending products. Trend 6: Blockchain applications have been tested in healthcare, insurance, cyber-security, contract management, and many other industry sectors. The results of these pilot applications may be available next year. Trend 8: Increased automation is a rising concern for business operators and employees. Will AI and associated technologies outperform the human workers, making them redundant? The fear is natural and real. The job-cut and downsizing trends are already there, and a gloomy 2025 forecast by industry watchers like McKinsey and Gartner has left people uncertain. Will 2025 be the death knell for human workers when robots will take over all business functions efficiently? Trend 9: These statistics may be reassuring for those worried about losing their jobs to machines in near future: According to McKinsey, machines will possibly “augment employment by around 5 percent by 2030, as well as improve productivity by about 10 percent.” Will it be a human-machine collaboration? Trend 10: Tesla has more than 780 million miles of driving data, which is fed to the main computer inside the self-driving car through radars, sensors, and cameras. Google has just over 1.5 million miles of driving data. In the self-driving world, the driving data is used to navigate the car, change lanes, or avoid collision. Virtual Agents: As mentioned before, large players are using virtual agents for customer service. A virtual agent is a machine-generated animated character who emulates the role of a human customer-service agent. This virtual agent has enough smarts to provide initial support to a curious customer. Image Recognition: This capability helps machines to identify specific features in images, based on prior learning. Image recognition is widely used on social platforms for image searches, and has been successfully applied to detection of license plates or diseases. Speech Recognition: This technology helps machines to interact via human language. Voice-based systems like Alexa use speech recognition to interact with mobile users. Here are 10 AI Technologies that will Dominate in 2019 describes the above ML and DL applications. The whole field of Artificial Intelligence enables “machines” to become innovators — a unique concept in human history. The combined impact of Artificial Intelligence, Machine Learning, Deep Learning, and neural networks is felt across business corridors — from boardrooms and executive suites to staff cubicles. Many business users are both excited and apprehensive about the future consequences of AI-powered business processes. Will AI and related technologies ultimately become a threat to human existence?The Infusion of Artificial Intelligence: Top Accelerators And Predictions for 2019 You Must Know expresses concern whether the current hardware architectures be able to handle advanced ML technologies. Future Directions in Machine Learning claims that future ML technologies must be able to learn from limited training sets, transfer learning from one context to another, learn continuously, and be adaptive to varying learning contexts to be useful for a broad range of applications.